You’ve designed a beautiful email, written brilliant copy, and pressed send—now what? While we wish that our emails were delivered with pomp and circumstance, the reality is that some of your emails may never make it to your recipients’ inboxes. We sat down with Lauren Meyer, VP of Delivery at Mailjet, to tackle some of the trickiest deliverability topics you may not know about. 1. WHAT ARE SOME COMMON MISCONCEPTIONS ABOUT DELIVERABILITY? MISCONCEPTION #1: I DON’T NEED TO WORRY ABOUT WHAT HAPPENS AFTER SEND. Honestly, most people don’t even know that deliverability is a thing. Many marketers think that when you hit “send,” all of your marketing emails just magically flow into the inbox. I’m here to break the news that this unfortunately isn’t true. MISCONCEPTION #2: DELIVERY AND DELIVERABILITY ARE THE SAME. Another common misconception is that a “delivery rate” and a “deliverability rate” are the same thing. There is a distinct difference between these two terms, which means you should stop using them interchangeably ASAP. Delivery measures the percentage of emails that have been received by the internet service provider’s (ISP) servers and did not return a hard or soft bounce. Deliverability refers to the ability that a legitimate email has of successfully reaching the inbox of its recipients. This one is much harder to quantify since ISPs do not return a bounce message to let senders know when the message has been delivered to the spam folder instead of the inbox. MISCONCEPTION #3: PURCHASING A LIST IS A GREAT WAY TO ACQUIRE NEW EMAIL ADDRESSES. Sorry to break it to you… but this one’s not true, either. And even if it were true, it’s important to point out that purchasing a list is one of the most damaging things a marketer can do to their email program. Sure, you can grow your mailing list quickly by buying a bunch of email addresses, but if those recipients haven’t given permission for you to email them—or worse, if they’ve never even heard of your brand—the chances of them unsubscribing or marking your message as spam are incredibly high. 2. WHAT ARE SOME KEY CONCEPTS EMAIL MARKETERS SHOULD UNDERSTAND WHEN THEY’RE JUST STARTING TO LEARN ABOUT DELIVERABILITY? When determining whether to accept your messages into their network—and at a later stage into the inboxes of their users—ISPs are looking at many different factors to gauge your sender reputation. If the ISPs see low user engagement (i.e., opens, replies, forwards) with your emails, or high bounce rates, unsubscribes, and spam complaints, it is the quickest way to have your emails delivered straight to the spam folder, or worse, have them blocked completely. Do not pass Go, do not collect $200. 3. WHAT FACTORS INFLUENCE A BRAND’S SENDER REPUTATION, AND HOW DOES THAT IMPACT DELIVERABILITY? The main objective for ISPs is to deliver a quality product and user experience to their customers. They work hard to ensure that only emails their users actually want are delivered to the inbox, regardless of what the recipient may have actually signed up to receive over the years. What this means for marketers is that data quality, selective targeting, proper sending cadence, and solid content are the main keys to strong deliverability. If you’re targeting the right people with engaging content at the right frequency, you should have no problem hitting the inbox because all of your user engagement metrics (i.e., opens, clicks, spam complaints, unsubscribes, etc.) will look great. However, if you start targeting the wrong people (i.e., every email address you’ve ever collected in the past 10 years, or ones you’ve recently purchased) with the wrong kind of messages (i.e., boring content or stuff they didn’t sign up for), or at a frequency that is much too high (i.e., every single time someone likes their post on Facebook, instead of one daily digest to let them know who and how many people engaged with their post), your opens and clicks will drop and user complaints and unsubscribes will go through the roof. These types of metrics will put you in the fast lane to the spam folder. Senders who are simply hiding behind what is legal, such as including language within their privacy policies that legally allows them to share contact information between multiple third parties (even though we know 95% of people do not read privacy policies) will have to try harder. As we move into the future of email, this type of consent is no longer good enough. ISPs have become stricter about what they consider to be “wanted” email, and it takes more than just a legal claim to ensure strong inbox placement. Focus on sending your messages to users who actually like your content, and show they like it through opens and clicks, and you shouldn’t have a problem hitting the inbox regularly. 4. WHAT’S THE BEST WAY FOR A BRAND TO ASSESS ITS DELIVERABILITY HEALTH? WHAT DO YOU CONSIDER TO BE A HEALTHY DELIVERABILITY RATE IN GENERAL? If your delivery rates are high (let’s say above 98%), then we can assume you’re primarily targeting active email addresses and your mail is not being blocked by the ISPs due to a poor sender reputation. But don’t start doing the Carlton Dance just yet! 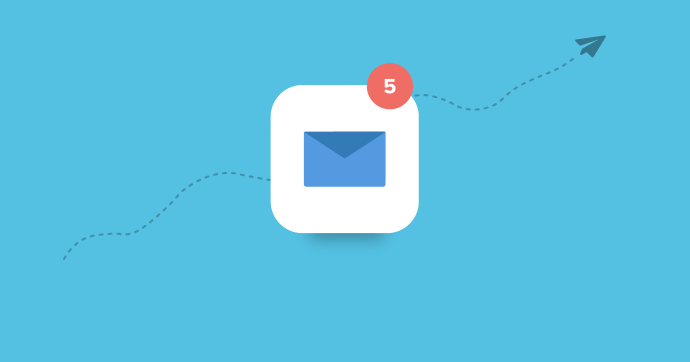 Now it’s time to dig into your inbox placement (aka your deliverability rates). Remember, your deliverability rate refers to the ability that a legitimate email has of successfully reaching the inbox of its recipients after it’s been accepted by the ISP. As previously mentioned, deliverability rates are extremely hard to quantify due to the limited visibility senders have into their recipients’ inboxes. ISPs send a delivery confirmation to let senders know when messages have been received into their system. However, the sender can never really be sure if the message was delivered to the inbox, the junk folder, or a gaping black hole somewhere until we see an interaction from the user (i.e., an open, click, unsubscribe, etc). TAKE A LOOK AT YOUR OPEN RATES ACROSS MULTIPLE ISPS FOR A CAMPAIGN. There will always be some amount of variance between each destination. If you see that all top ISPs have an open rate averaging around 20%, but Gmail is closer to 8%, you may be experiencing some spam foldering at Gmail. Your deliverability team (or your email service provider’s (ESP) deliverability experts) can help you understand what might be driving low inbox placement at one ISP vs. another. COMPARE YOUR OPEN RATES AT A PARTICULAR ISP ACROSS MULTIPLE CAMPAIGNS. This tactic will allow you to determine if your open rates are trending up or down over time. If you’ve already detected a deliverability issue, this type of campaign comparison can also help you identify when the issue may have started, which will in turn help you figure out what caused the problem in the first place. The key is to make sure you’re only comparing apples to apples (i.e., only compare campaigns with similar targeting and/or types of content). 5. WHAT ARE SOME COMMON DELIVERABILITY PROBLEMS THAT MOST BRANDS ENCOUNTER? Content which is simply not what the recipient expected to receive. 6. HOW CAN BRANDS IMPROVE THEIR DELIVERABILITY? Focus your email program on recipients who actually want to receive email from you. This starts with growing your email list organically. Sorry guys, but this means no more purchasing lists or running monthly sweepstakes to boost your numbers. Once recipients have decided to join your list, serve them up with engaging content to keep them coming back for more. If recipients aren’t opening your emails and clicking through to check out your awesome new blog posts, it means your content is in serious need of a reboot, or you’re simply targeting the wrong folks. You can work with your deliverability team (or that of you email service provider (ESP)) to identify actionable ways to improve your targeting. ISPs spend a great deal of time finding ways to create a positive email experience for their users. This includes more than just protecting innocent users from the scary malware and phishing that is making its way around the Internet at an ever-increasing rate. It also means keeping their users’ inboxes free and clear of messages they no longer want to receive. Let’s call these inbox clutter. Consider those “daily deals” emails you signed up for six years ago and opened religiously…at first. If certain recipients have completely stopped opening those messages, it should be a clear indication to the senders that they are no longer interested. Cut your losses and move on. Focus on your engaged users (i.e., those who LOVE your content, and are proving that through positive engagement with your email stream), and the ISPs will pick up on it. Cue the mood music… We’ve got a match made in heaven.